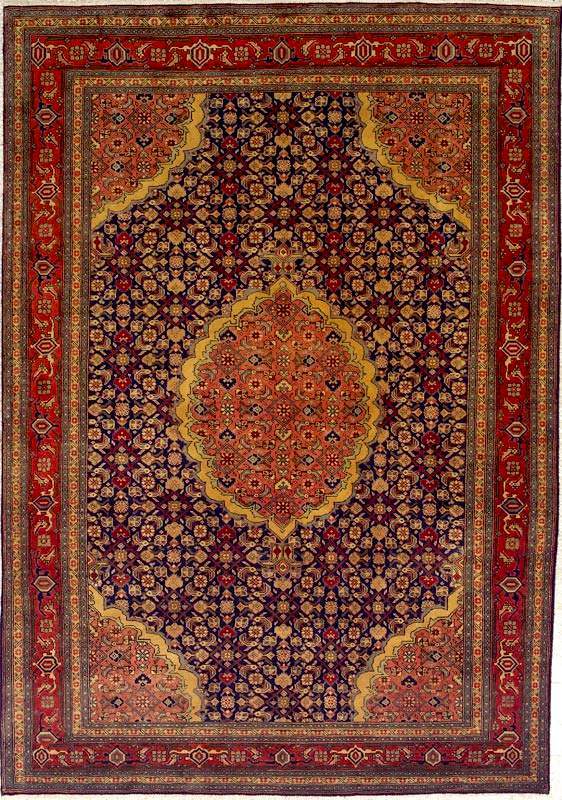 Ardabil is a city near the coast of the Caspian Sea, and is probably responsible for one of the oldest and most famous carpets in existence today, the 34' x 17' masterpiece housed in the Victoria and Albert Museum in London. 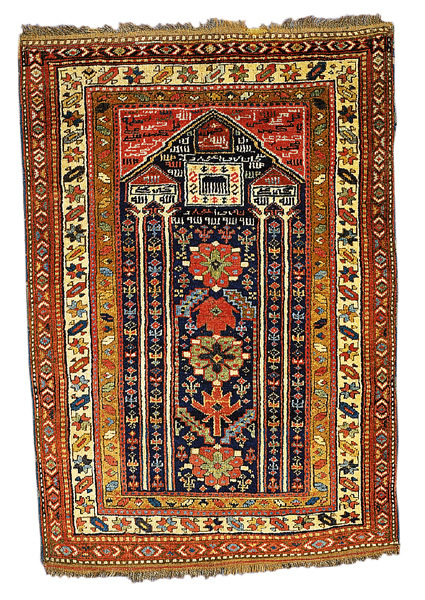 Ardabil rugs usually have the famous Mahi (Herati) design, with a diamond medallion and small fish throughout. 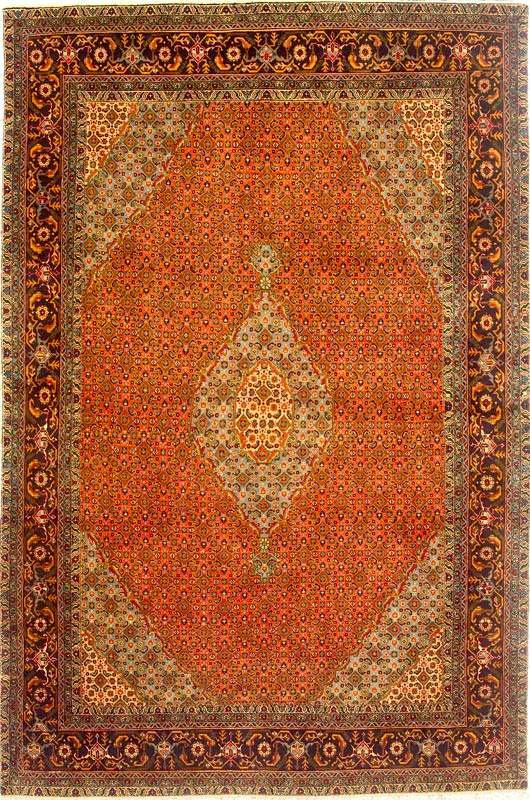 An allover pattern is sometimes seen in an Ardabil. Usually their weavers will incorporate a lot of silk into the woolen pile to accentuate some highlights in the pattern. 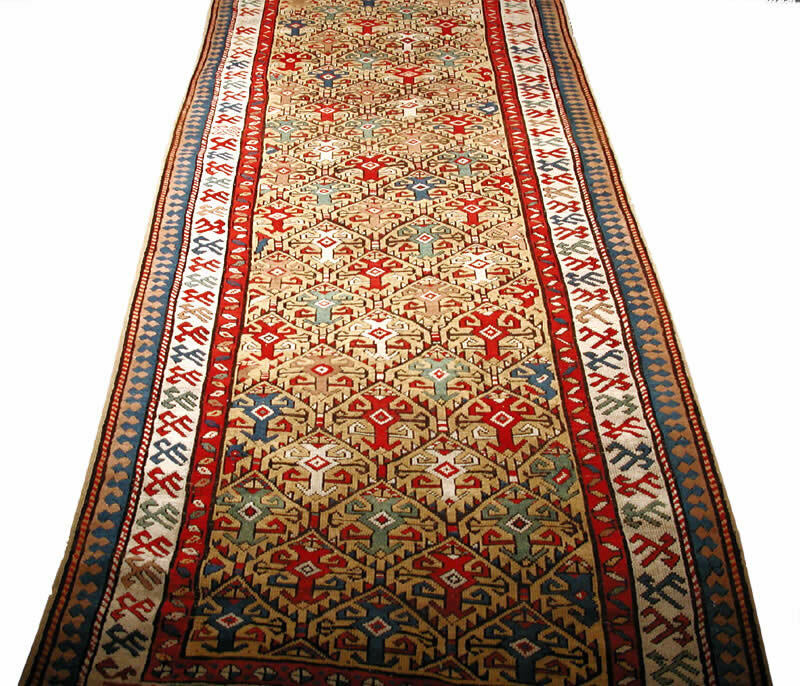 Some modern Ardabils have started to migrate from the traditional Herati pattern to bolder geometric patterns. In addition to the usual beiges, rusts and blues, many up-to-the-minute colors can be observed in the newer Ardabils, such as a turquoise and purple. 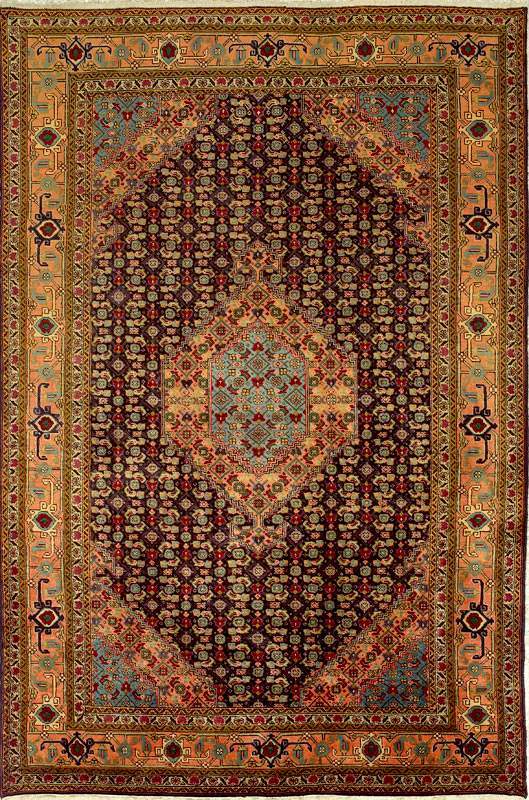 Ardabil is an important area for the production of tribal and village rugs. 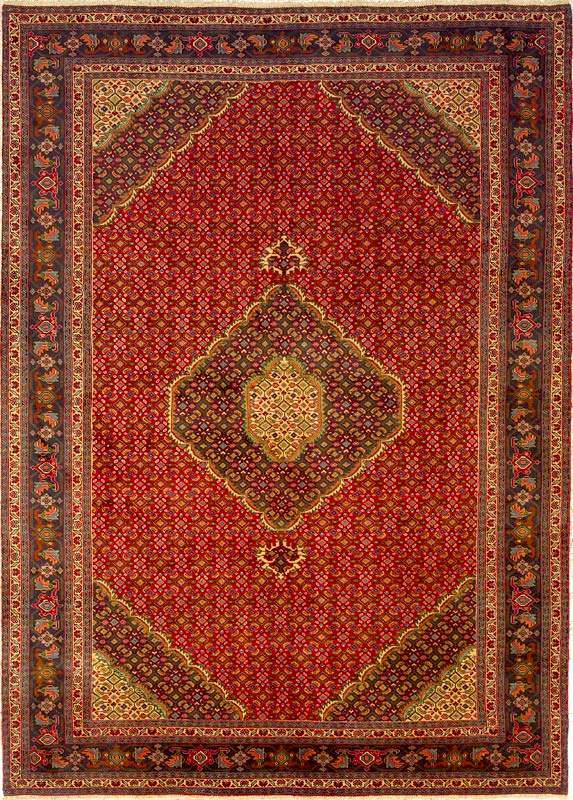 The rugs of the Shahsavan area especially attractive to collectors. 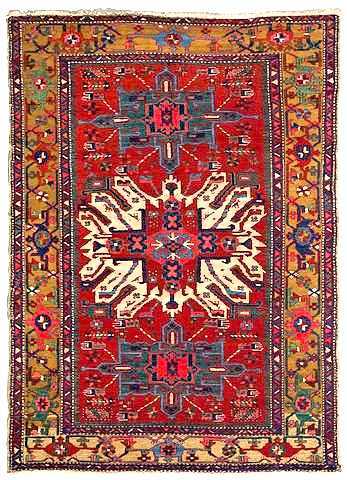 There is also a production of Ardabil rugs that tend to look like Persian copies of Caucasian designs. The reason for this is that when the Russians expanded into the Caucasus in the day of the Christian Czars many Shia Moslems moved out of the newly Russian areas and into present day Iran. The major north/south road from the Caucasus bisects Ardabil so many of the refugees settled in Ardabil. 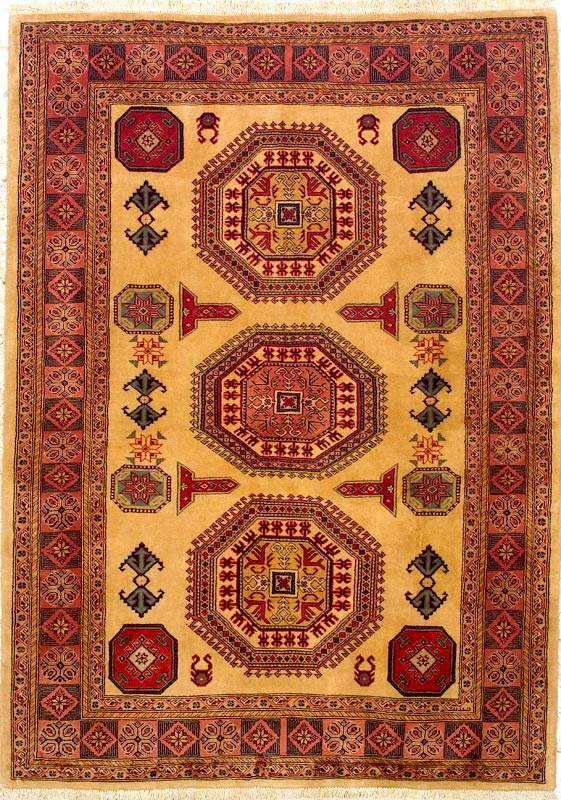 So when we see rugs that are a cross between Persian and Caucasian it is perfectly reasonable if they are from Ardabil. 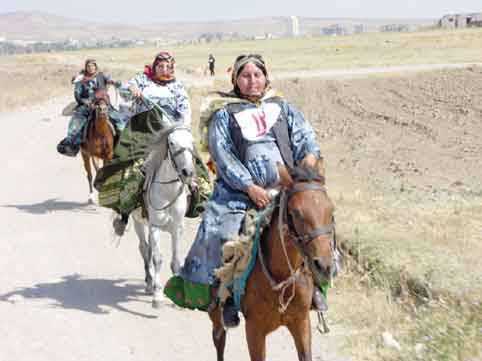 Tribal women in a horse riding competition in Varniab village southwest of Sarein in Ardebil province. This area is known for the Shahsavan tribe and hot mineral springs. The history of Ardabil is deeply intertwined with Sheikh Safieddin Ardebili and his Safavid descendents. Ardabil was the base of the Safavi clan and the Sufi order that they founded. 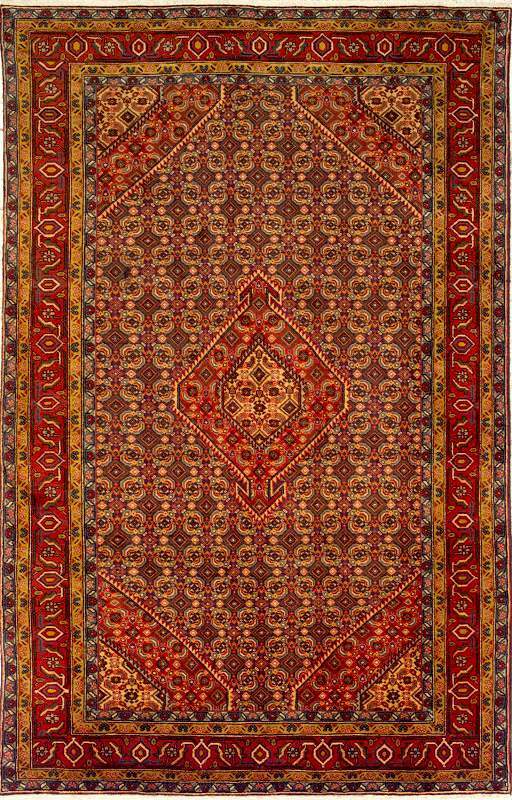 It is hard to discuss Ardabil with out discussing even briefly the Ardabil Carpet(s) . These are actually a pair, one in Los Angeles and the other in England. 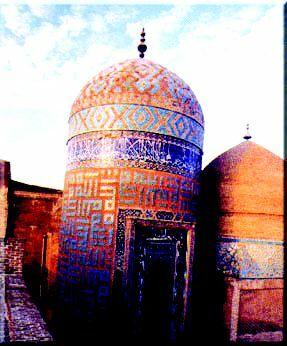 One popular theory is that this was made for the Mausoleum of Sheikh Safieddin Ardebili. It could have been but I suspect that it was made to be tribute to the Ottoman Turks ad for some reason was never delivered. It would then have been donated to the shrine at a later date. 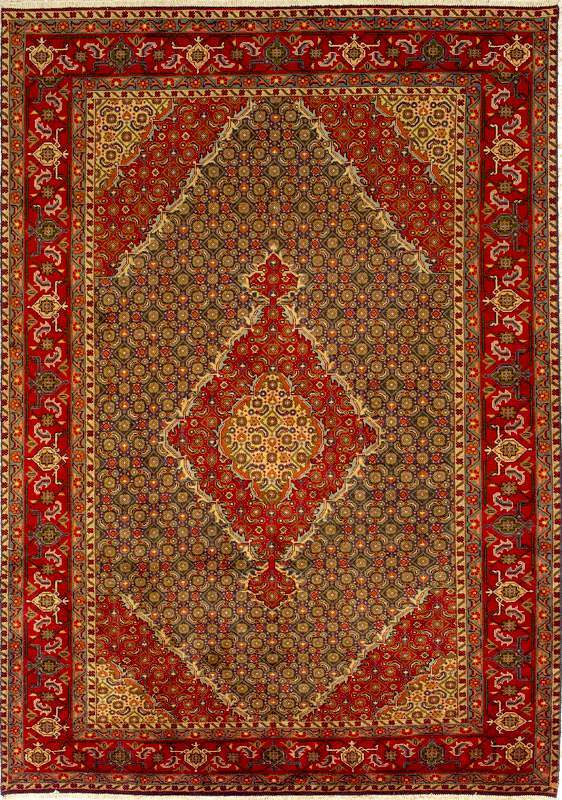 Meshgin Rug, Meshgin Shahr Ardabil Province, beginning of 20th C.
Selected antique and rare carpets, kilims, flat-weaves and textiles. Title Meshgin, North West Persia, ca. 1930. Localised wear, minimal shorter and secured ends, overall good condition. 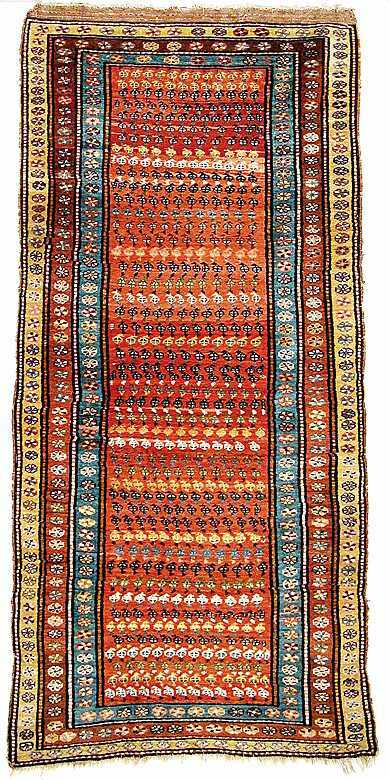 Meshgin Rug, Meshgin Shahr Ardabil Province, 19th C.
Judging by its structure, wool and colours, this rare prayer rug was probably made in the Meshkin region. We know of no other example exactly like this piece. - In good condition with the original ends and sides. 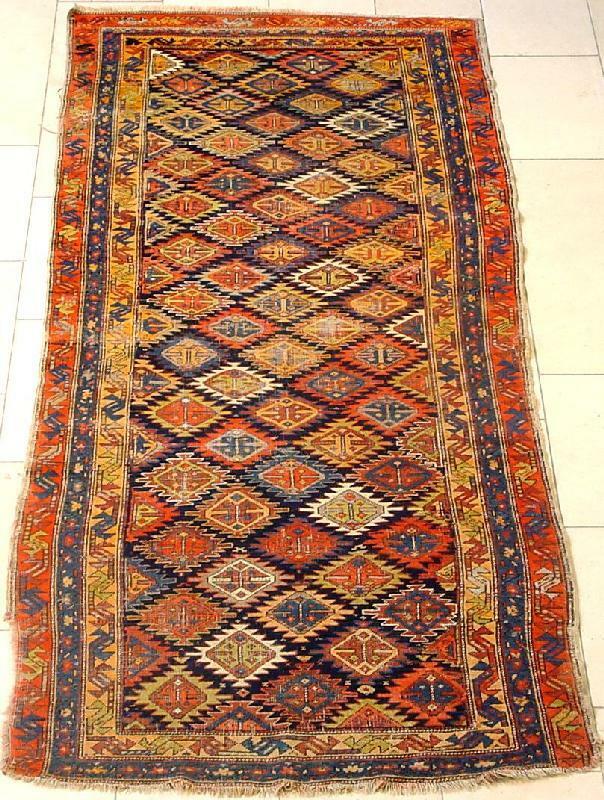 Meschkin Runner, 2nd half 19th C.
Size: approx. 376 x 122 cm. Notes on Condition: Pile evenly low, sides restored. 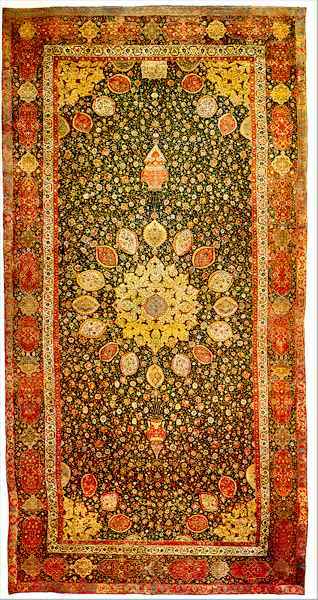 The Mahi, from the city of Tabriz, is one of the most elegant carpets in the world. 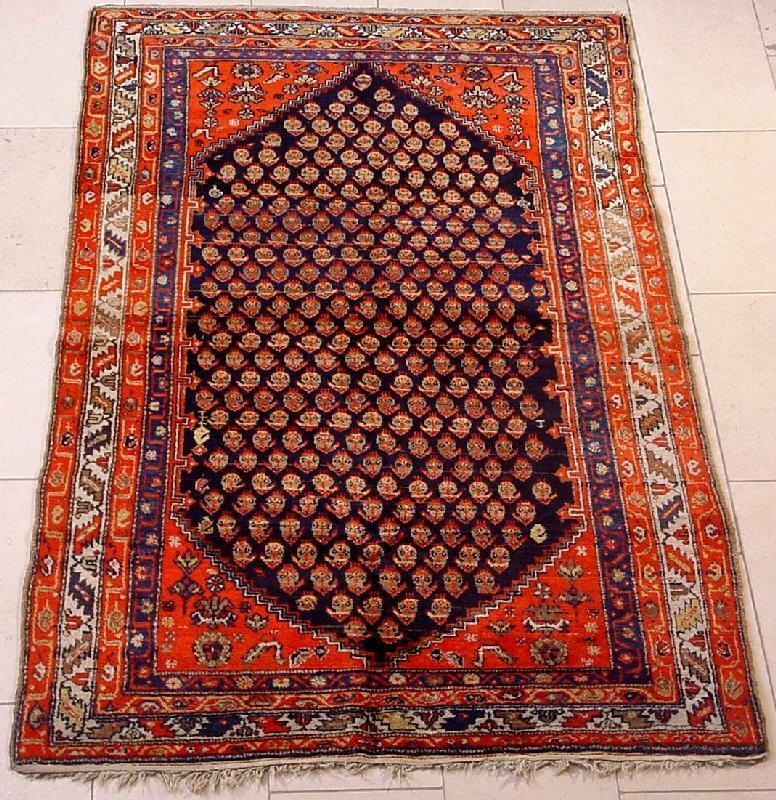 It shows very small silk-lined fish, almost a paisley pattern, scattered neatly throughout the many borders and medallions of the carpet. 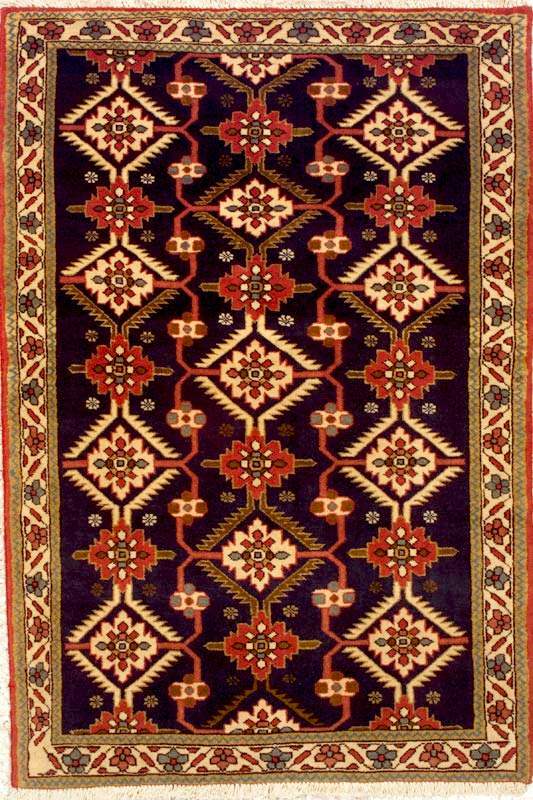 The tiny flowers and border details are also outlined in silk, and the wool is usually of the finest 'Kurk'. The magic of a Mahi, especially in the higher KPSI, is in the subtle color ranges of each piece, from beiges to brown, black or navy to grey, and every shade of green. 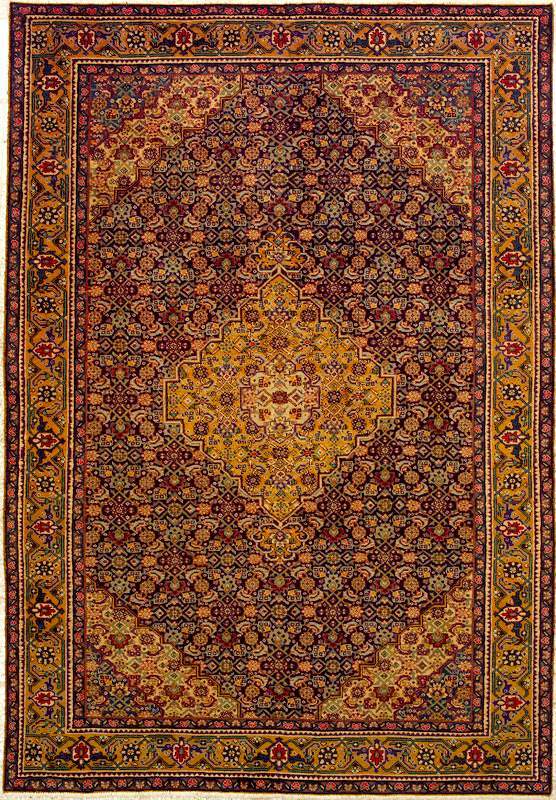 This incredible symphony of color in each carpet allows it to blend easily into the the most challenging interior, giving the Mahi its nickname of 'the Designer's carpet'. They do not show their true beauty on the internet, perhaps due to the extremely small scale of the design.